BuildBlock Building Systems Projects Win Two National Industry Awards at the 2014 ICF Builder Awards in Las Vegas, NV. 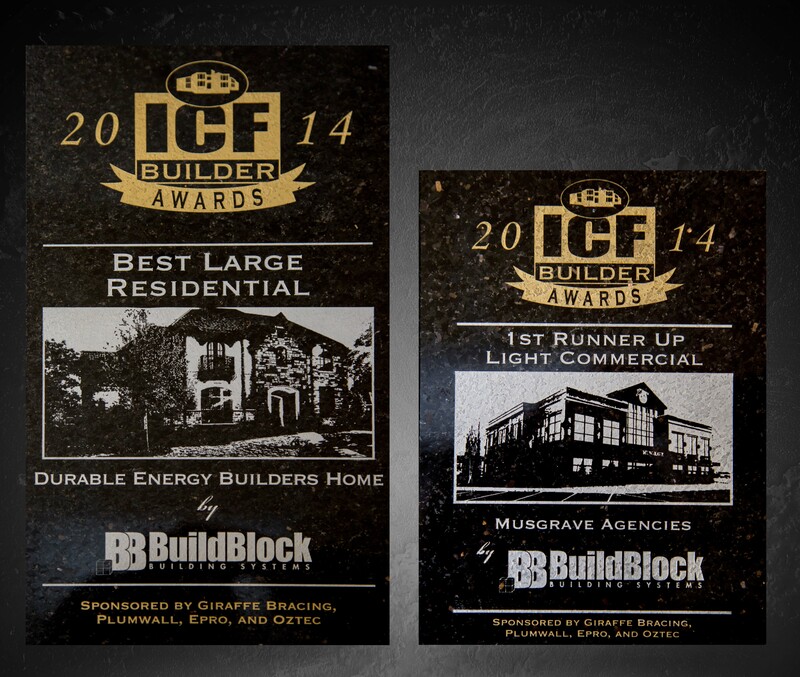 BuildBlock Building Systems Projects Win Two National Awards at the 2014 ICF Builder Awards in Las Vegas, NV. 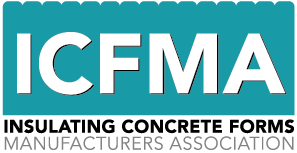 Oklahoma City, OK— BuildBlock Building Systems, manufacturers of Insulating Concrete Forms, (ICFS) happily accepted two national industry awards last week at the 2014 ICF Builder Awards held during the World of Concrete trade show at the Las Vegas Convention Center. The Builder Awards competition is an event to showcase the innovation, quality and energy-efficiency in ICF construction and promote this sustainable, durable and attractive building material. This year BuildBlock won two awards, Best Large Residential and First Runner up Light Commercial. The First Runner up for a Light Commercial project was awarded for Musgrave Agencies; a family owned and managed real estate and land development company in Lloydminster, Alberta, Canada. This building was built for both aesthetics and comfort for its occupants, but also wanted to incorporate long- lasting sustainable technologies like BuildBlock ICFs, R-40 roof insulation, foam under slab insulation and energy efficient windows. The windows in this building are actually one of the most unique features and were important in selecting BuildBlock ICFs. Because of the multitude of large windows, it was important to engineer a wall system to support the sheer size and number of windows. After careful evaluations of other building materials, only Buildblock ICFs carried the energy efficient goals and strength to support the windows with the advantages of the 6-inch on center web design, high density attachment points and tight interlock. This project was a testament to the Build Block design with the significant number of corners; the blocks made the pour straightforward and free of any incident. BuildBlock constantly strives to push the limits in ICF construction and educate the public about ICF benefits for residential homes and commercial buildings. These awards are just one way to demonstrate the possibilities and limitless design of BuildBlock ICFs. BuildBlock® Building Systems LLC is the manufacturer of BuildBlock Insulating Concrete Forms (ICFs) the most environmentally-friendly, energy-efficient and disaster resistant methods of residential and commercial construction. 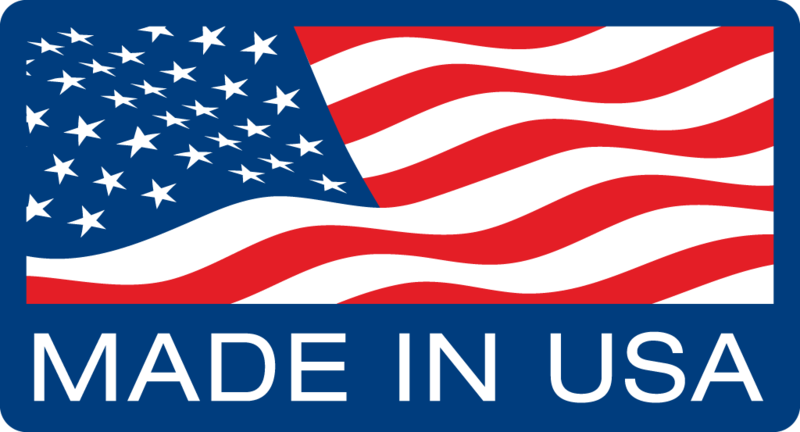 Headquartered in Oklahoma City, BuildBlock serves North America through its 14 manufacturing facilities located in Colorado, Arizona, Massachusetts, Idaho, Indiana, Florida, Alabama, California, Minnesota, Missouri, North Carolina and Canada. More information about BuildBlock® Insulating Concrete Forms can be found at buildblock.com or call 866-222-2575.